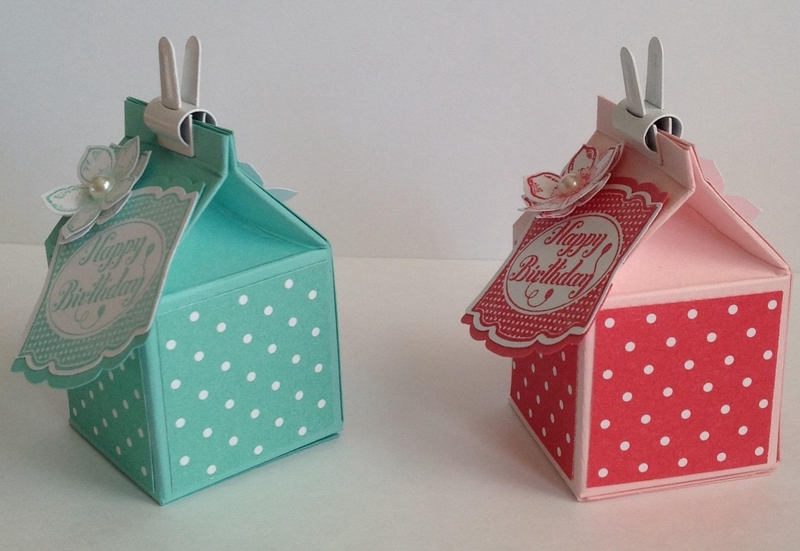 I was playing around yesterday and made a couple tiny milk cartons. I didn’t really have any purpose in mind at the time but thought they were so cute. I only made white ones as a template for later use. Well, I’m not sure if I dreamed it or just had the idea come to me in the night. 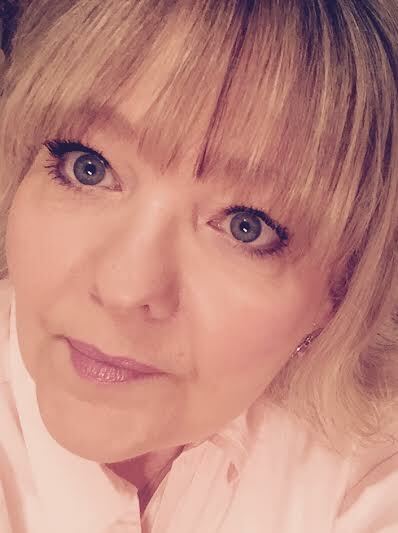 But, I have 2 granddaughters that have birthdays and knew I would be getting together with them today to celebrate. I always give them money because it just makes it easier on me and them. 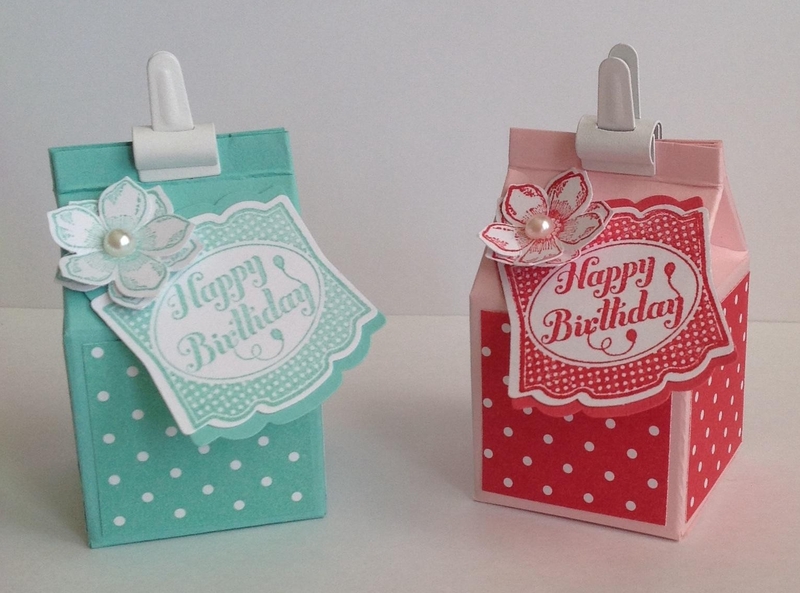 This little milk carton came to mind as a vessel to hold their money gift! I was so excited, I don’t know I slept the rest of the night. LOL! Anyway, this is what I came up with. I added a photo with the ruler to show how tiny they really are. 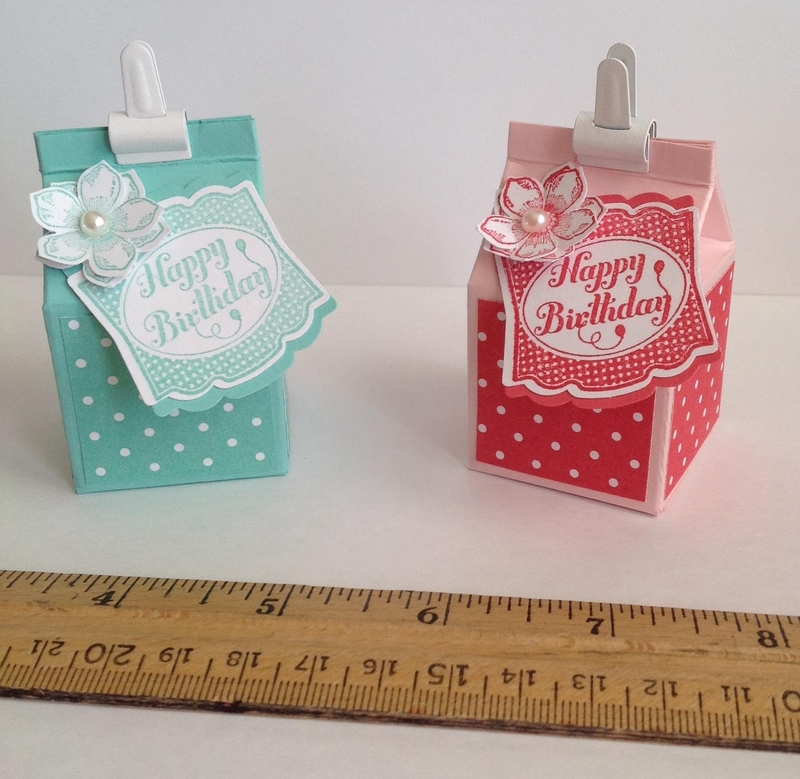 They are 2 1/2″ tall and measure 1 1/2″ square. 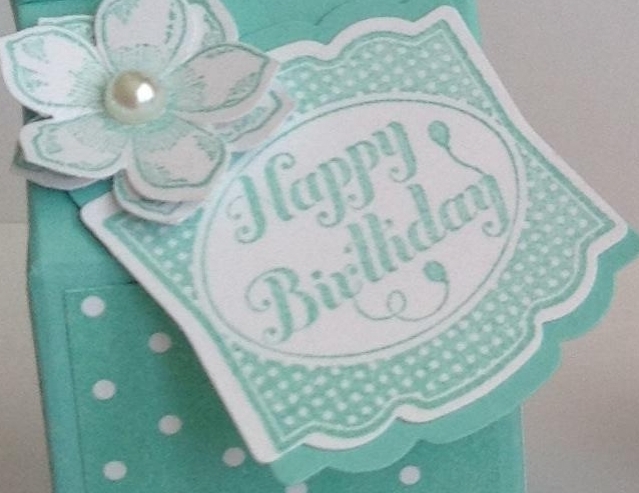 So much more fun then just giving a card, don’t you think? I use the clips as a closure so that the money can be accessed easily and the box can be reused. I have been asked to add directions for this box. I will do my best. 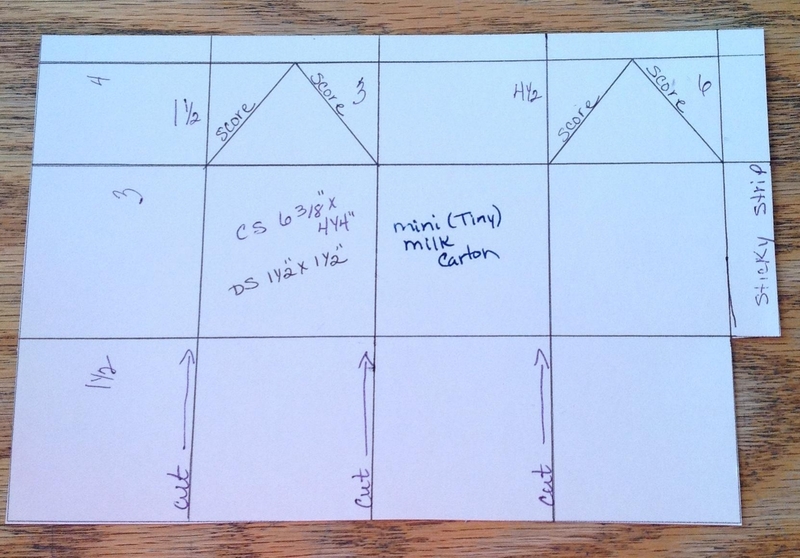 Cardstock size 6 3/8″ X 4 1/4″ Score with long side at the top 1 1/2″, 3″, 4 1/2″, & 6″. Turn and score short side at 1 1/2″, 3″, & 4″. In the template you can see that you need to cut off the bottom right hand corner. Crease all your score lines. For the triangle score lines at the top, I just used my mouse pad and stylist and eyeballed it. You cut from the bottom up to the first score line. Sticky strip goes on the right all the way to the top. I’m sorry I know the hand drawn template is crude. But I hope it is at least clear enough for you to understand. Let me know if you have any questions. Very cute, Kris. I also have two granddaughters and can imagine how much they’d enjoy getting these. Thanks for sharing.